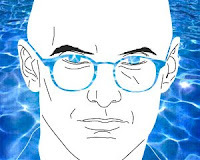 April 28, 2008 / Ken Wilber may be the most important living philosopher you've never heard of. He's written dozens of books but you'd be hard-pressed to find his name in a mainstream magazine. Still, Wilber has a passionate - almost cultlike - following in certain circles, as well as some famous fans. Bill Clinton and Al Gore have praised Wilber's books. Deepak Chopra calls him "one of the most important pioneers in the field of consciousness." And the Wachowski Brothers asked Wilber, along with Cornel West, to record the commentary for the DVDs of their "Matrix" movies. A remarkable autodidact, Wilber's books range across entire fields of knowledge, from quantum physics to developmental psychology to the history of religion. He's steeped in the world's esoteric traditions, such as Mahayana Buddhism, Vedantic Hinduism, Sufism and Christian mysticism. Wilber also practices what he preaches, sometimes meditating for hours at a stretch. His "integral philosophy," along with the Integral Institute he's founded, hold out the promise that we can understand mystical experience without lapsing into New Age mush.